In -love with music doing cover songs and been in different bands & play wide range of music. Start as Official University Choir Member at P.U.P STA MESA MANILA PHILIPPINES (POLYTECHNIC UNIVERSITY OF THE PHILIPPINES) when i was in my College years to gain half-scholarship of the Univeristy. As an ALTO and 2nd ALTO where they train us to learn how to harmonize, different facial expression, proper breathing and lots of discipline when it comes to performing. Year 1997 - i began to join Professional band whose bound to perform in other country whose handled by a Manager in a Band ... under one Management. 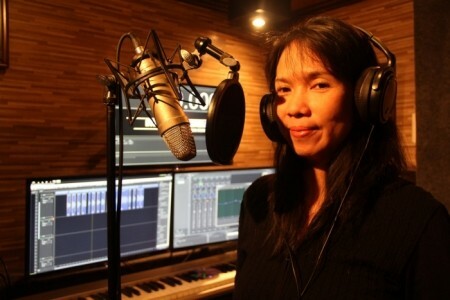 In abroad i start as a back-up singer since i can do alto & soprano, then became a 2nd vocals. I've been in Asian countries like Malaysia, Singapore, Bangkok Thailand, China, Manila Philippines Gigs, hotels, bars, corporate shows, parties, weddings, Out of town shows, as a Full-time band Vocalist/ back up Singer of diffrent bands as a Profession. 2009-2010 Singing Part-time in a diffrent band as Sessionist i also work as Part-time Event Coordinator for diffrent Occasions like Weddings, Debut Party, Birthdays ans some Companys Event.